Among experts who study it and families who practice it, open adoption varies widely. Here, a look at open adoption today. When California residents Kim and Carl Felder adopted their son, Robbie, they got to know his birth mother, Tony, very well. The relationship grew so close, in fact, that Tony lived with the Felders for a while before Robbie was born. 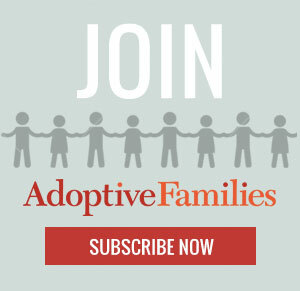 Continue reading “Understanding Open Adoption – The Benefits and Challenges” on AdoptiveFamilies.com. I am beyond happy to hear a ceibrelty be honest! I didn’t want to speak of my IVF either. Only my immediate family and my best friend knew. I was embarrassed knowing I would not conceive naturally. All I could think was why am I defective? That is not necessarily the case. My first round of IVF was painful, emotional, physically and mentally exhausting. When I got the phone call from the Dr. and heard the test was positive, I was totally floored. When my first ultrasound revealed 2, I was scared to death. And after I met the beautiful babies, I realized it isn’t important how they came to be, only that they are loved and cared for with everything I have. I tell everyone that asks exactly how they were conceived. Regular people need to hear these stories. I did, and nobody was talking about it. It is true that as a child takes permission when to meet his grand parents, so when they are at an approriate age they could meet/search birth parents. The adoptee parents are supporting in their search and connect. I was adopted and raised in an open adoption. The “toughest challenge” for the child in OA cited above wasn’t the case for me. The toughest challenge was truly the daily struggle. It was constantly wondering and fantasizing about my mom and siblings – where were they, what were they doing, eating, watching on tv? It was the elation of having my mom – and then saying goodbye … again. It was receiving pictures of my family in a professional portrait without me and being traumatized for days about where I could have stood in the picture. It was trying to explain to kids on the playground why my “real” mom couldn’t keep me (these are the types of questions the industry promises that adoptees will have answers to b/c of open adoption, but it’s very difficult to raise these issues as a child – I certainly wasn’t going to spend my visits with my mom grilling her about leaving me which I’ve blooged about extensively). All of this doesn’t mean that I think closed adoption is better either. I think every adoptee should know their family, origins and updated medical history. It’s definitely a complex situation. I think all kids even if adopted need to be involved with their bio parents should the kids want contact. When kids are adopted.they will not be away from each other forever they eventually get to be all together. Especially if its a forced adoption. I appreciate your thoughts. In open adoption, birth parents and adopting parents select each other. They have control over all critical decisions in their adoption, including the amount of ongoing contact. It is indeed a difficult situation for a mother to be, however the professional adoption agencies provide the necessary guidance to make it a smooth process. Nice sharing.